AMT electronics is the best Computer repairs shop accredited Centre in Melbourne CBD. We offer expert repairs for all brands of computers, laptops, tablets, phones, printers, networking, hardware and/or software installations, among a wide range of other services. 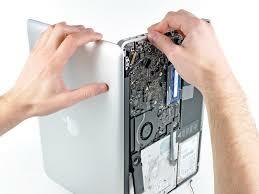 All repairs are provided by our qualified technicians either in house or at your site. Cracked Screen, Hard Drive, Keyboard, Software Replacement & Water Damaged for Macbook Air & Macbook Pro. Building a new computer system to meet your personalised specifications. Repair your computer or other hardware/device if it has stopped working or is performing unreliably. Maintenance of your computer or other hardware to ensure it is running at optimum levels (recommended that you do this at scheduled intervals). Reclaiming your data files after your computer is affected by a security breach or viral attack. Installing and configuring software for your computer system, including operating system, anti-virus, or other specialised software packages. You can drop off in our store and an express turn-around service is available for urgent Laptop Computers. If you have a unique problem or enquiry, please Contact Us. Open 6 days a week in Melbourne CBD, easy and convenient location, no appointment required! Simply Contact Us for more information Phone: (03) 9663 9111 or write us. 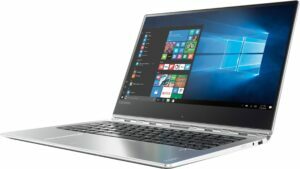 This entry was posted in Computer, Mac, Service and tagged Anti-Virus, Apple Macbook Pro Repair Near Me, Apple Macbook Repair Near Me, Australia, Best Price, Cheap Computer Repairs, Computer, Computer Repairs, Computer repairs Melbourne, Computer repairs near me, cracked screens, Data back-up, Data Recovery, data retrieval, Delivery, expert repairs, Fast and reliable, Fast Repair, Faster Computer, guarantee, Hard Drive replacement, Hardware Setup, How to fix my macbook, IT Support, Laptop, laptop repair service, Laptop Repairs, Mac Computer Repair, Mac Repair Melbourne, Mac Repairs Melbourne, Mac Screen Repair Near Me, Macbook Air Repair Melbourne, Macbook Air Repair Near Me, Macbook Air Screen Repair Melbourne, Macbook Air Screen Repair Near Me, Macbook Pro Replacement Screen Near Me, Macbook Pro Screen Repair Melbourne, Macbook Pro Screen Repair Near Me, Macbook Repairs Melbourne, Macbook Screen Repair Melbourne, malware, Melbourne, Melbourne Apple Macbook Repair, Melbourne CBD, Melbourne CBD Mobile On Site Computer Repairs, Melbourne iphone Repair, Melbourne Macbook Air Repair, Melbourne Macbook Air Screen Repair, Melbourne Macbook Pro Screen Repair, Near Me, Networking Help, Onsite, Onsite computer installation, Onsite computer repair, onsite computer repairs, Onsite notebook installation, Onsite notebook repair, PC & Mac Repair, Quick and Reliable, Quick Repair, Reclaiming Data, Repairs, Same Day Repairs, Screen Repairs, Service, software corruption, software installation, Spyware Removal, To You, Upgrading software, Urgent Repair, Virus removal, Water damaged. Bookmark the permalink.